It’s been a long time coming, and I finally feel like I’m starting to find not only my sound, but myself, as well. It’s been quite the journey to 25; and ever since those cooler winter months, a rollercoaster of a year and a reckless move packing my bags and my car to a friend’s room from the Bay Area to Southern California, all by myself just one year ago this week, I’ve learned a lot. Not only about myself, my role in this world, where my head and my heart lies, but also the internal struggles of a move — finding yourself in a new place, forcing yourself to change, grow and ask yourself hard questions, even when you’re not ready for them. I attended Spotify’s Louder Together event late last March, and ever since that show and that moment, it felt like a “last straw.” It was the kind of music and inspiration I needed to get rid of all the toxic energies I felt in my life that were holding me back — my ill-fated belief in another, my struggle to let go, my unrelenting faith in another person despite you having to admit to yourself that you cannot pour yourself into another if they’re giving you nothing in return. You can’t teach someone to love you back if they don’t have that love for themselves. As much as I share about my life, journeys and adventures through running from show to show, meeting my idols and prominent people in entertainment, the things, people, feelings and emotions that are dear to my heart, I tend to keep private. I’ve had buttloads of journals and scraps and voice memo recordings of potential songs, ideas, riffs and all; and I’ve realized my biggest struggle was in really being comfortable to share that all with you. I’ve learned that you have to trust yourself and your journey and growth, as an artist, individual and person. You cannot force things out of yourself, just as you can’t force the universe to work in your way, or other people to respond to you in certain ways — and these past few months have given me the freedom, liberty and resilience to fully embrace my growth to get a little more comfortable with myself, with being vulnerable, with finding my heart, and to write things that are real, pure and coming from an honest place. With that being said… “Somebody Special” by Nina Nesbitt is a song that I’ve genuinely loved and could not get enough of this year (I’ve already written my schpeal/review on her performance about why I think she’s one of the best, and my favorite, rising pop artists). I finally feel like I’m coming into my own… Slowly but surely… Finding my sound… My voice… The things and feelings I want to write about. And I’m starting to have a hell of a lot of fun with it! They say when you’re able to tend to yourself and maintain that healthy balance — finding those friends, fostering healthy, positive relationships in your life, giving them your time and not pushing away other things and people for the sake of your work, and also not sacrificing time for yourself — you are able to put your best self out into the universe. Give yourself a real hard look in the mirror. Cultivate love. Cultivate honesty. And that will show up. 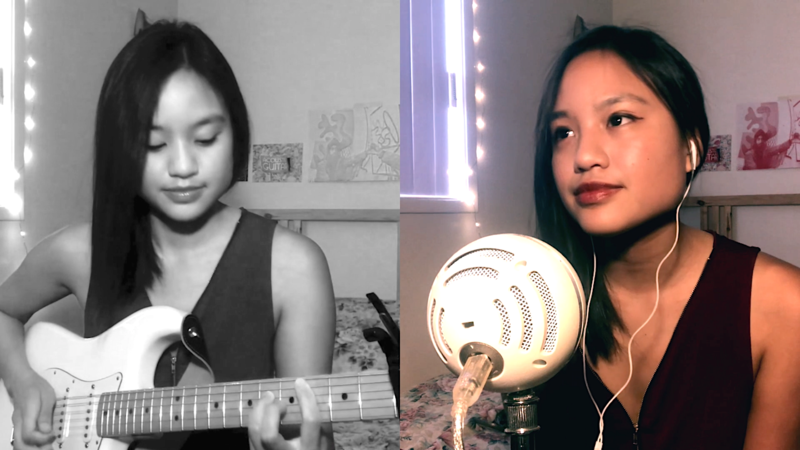 With that being said… I hope you enjoy this quick little one-take recording of a cover! I’d love any thoughts you may have.